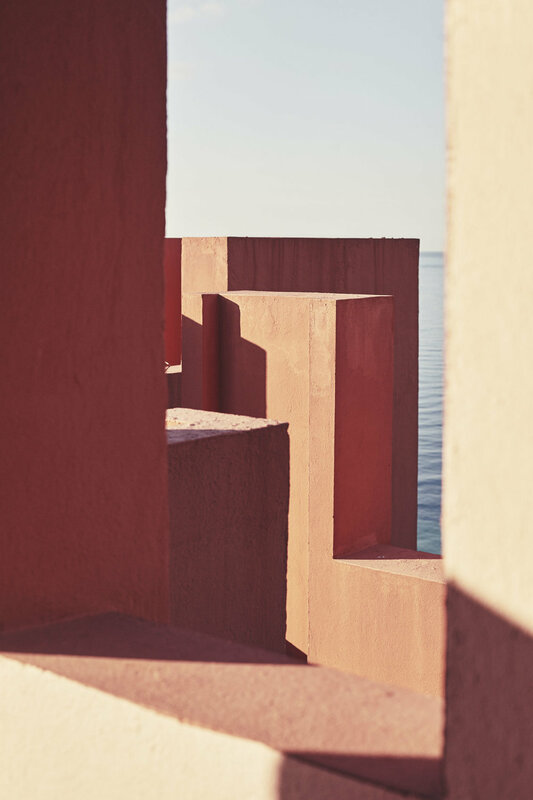 All photos courtesy Ricardo Bofill. 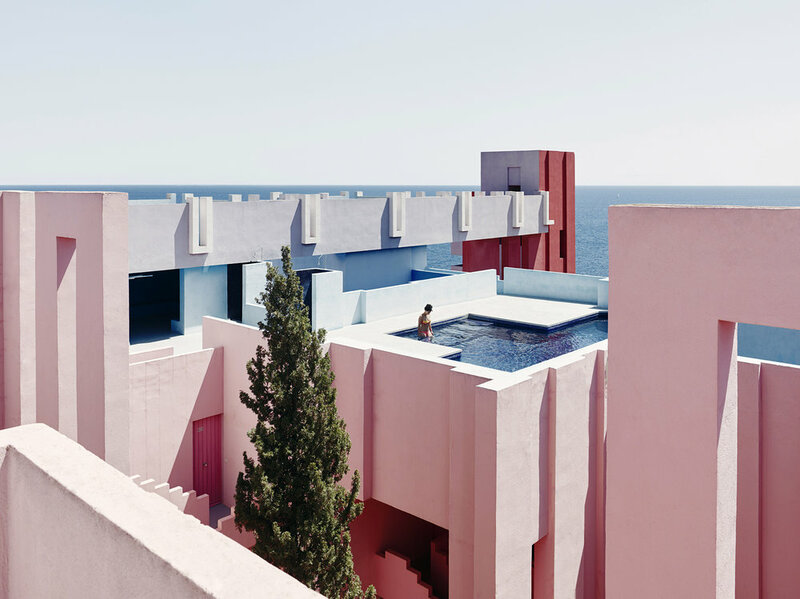 Ricardo Bofill is one of Europe’s most famous and prolific architects of the last century. Renegade, anarchist and godfather of design, we chat visions and the immediacy of social media. Our town is on the most easterly point of Australia and, in indigenous traditions, is known as a healing ground for women. The 20,000 year old belief of arriving, healing and then leaving is woven in its energy, making our residents somewhat nomadic. I read recently you consider yourself a nomad. Can you tell us about your nomadic life? When you’ve grown up in Catalonia Spain during the Franco regime, you have few choices before you. You dream of freedom and great journeys. I was expelled from the Spanish University and Franco’s regime prohibited me to practice in Spain. This situation forced me to move first to France, and later to Algeria, South America, the United States, Canada, Japan, China and India. I have accepted this way of life and I like it. Have you ever ventured to Australia? Actually, we were recently approached by an Australian developer who wanted to re-purpose a former brewery in Sydney … but no, I have never visited or worked in Australia. I know that the country has amazing industrial sites that would make great adaptive reuse projects. I’m curious to know more about Taller de Arquitectura. You founded the multidisciplinary firm back in 1963. Can you explain the philosophy of its beginnings? I founded Taller de Arquitectura to confront the complexity of architectural practice. I gathered a multidisciplinary, multi-talented group of integrated architects, engineers, planners, sociologist, writers, movie makers and philosophers, to provide alternative responses to urban planning problems. Urban Design has been a forgotten discipline since the days that the city burst forth from its original form. An urban culture no longer exists and yet it is the basic element which makes exchange and communication possible. It is this culture with which we must deal: by restructuring the architecture of existing cities, by adapting historic centres to the new urban demand, by transforming degraded suburban form, by limiting urban growth, by restructuring the countryside. You’re quoted, ‘If you want to be an architect, you have to learn the social, political, economical and cultural problems.’ Personally I feel like if we want to be good humans and citizens in our world in its current state that this understanding is essential for us all, do you? Absolutely, but the reading of the future is different since the globalisation. Cultural diversity, immersion in local cultures, and climatic, ethnic and regional contrasts should be the source of inspiration for the Architect if he or she is to be consistent with the current diverse world. 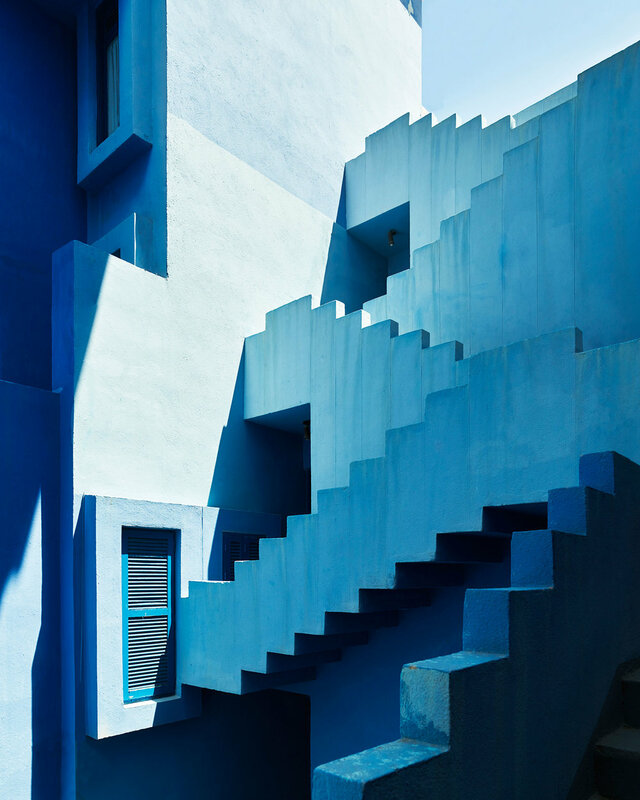 My Catalan – peripheral – origins have made me more receptive, more attentive towards civilisations far removed from the centre, and for this reason they are essential to my work as an architect. 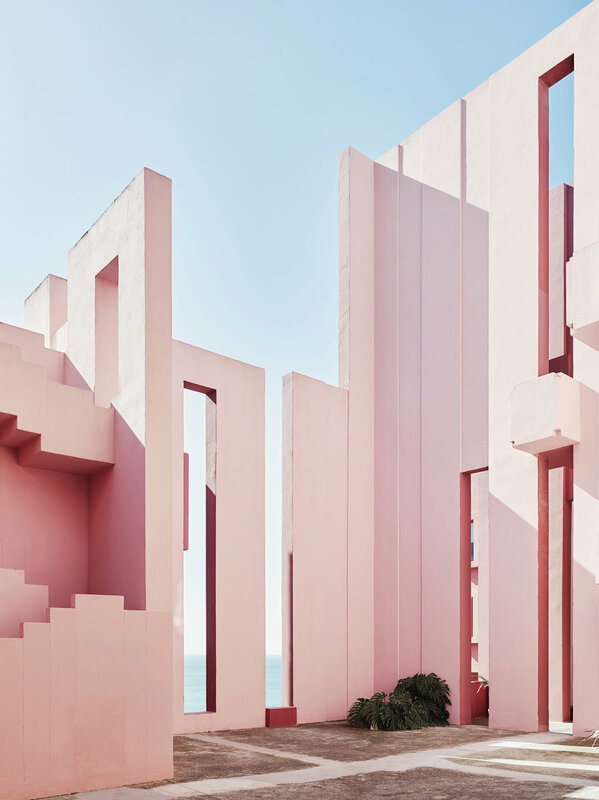 Your thoughts on the idea of your vision La Muralla Roja (pictured) cast and completed in 1973 and in 2017 an instagram and social media sensation? I designed the building in 1973, practically without plans and working with my father’s company of construction workers. What I had in mind was the creation of sophisticated vernacular architecture, as opposed to the surrounding natural landscape. Yet, social-media users do not bother to understand the reasons for that choice. They have the advantages of immediacy, but also the disadvantages, their opinion is usually frivolous, the analysis is superficial. The architect must have a global vision of Architecture once again. The transformation of urban spaces depends on a genuine knowledge of classic art, its laws, its structures, its transformations. The city offers us a panorama of anonymous forms, one following the other.